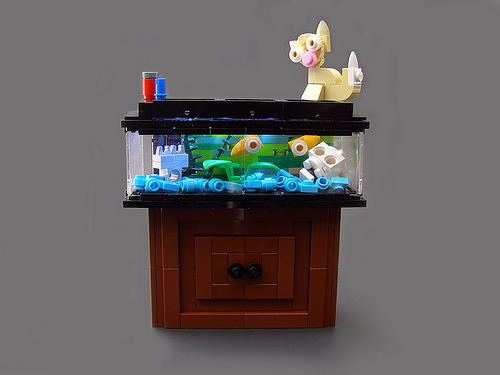 It looks like the cat in this little scene by Tyler Clites (Legohaulic) is looking for a little snack to tide it over until morning. Really, though, it’s the tiny aquarium buildings (practically micro scale castles) that set this apart for me. The effect is good enough that when I saw a small thumbnail of this image, I wasn’t sure if it was LEGO or not.